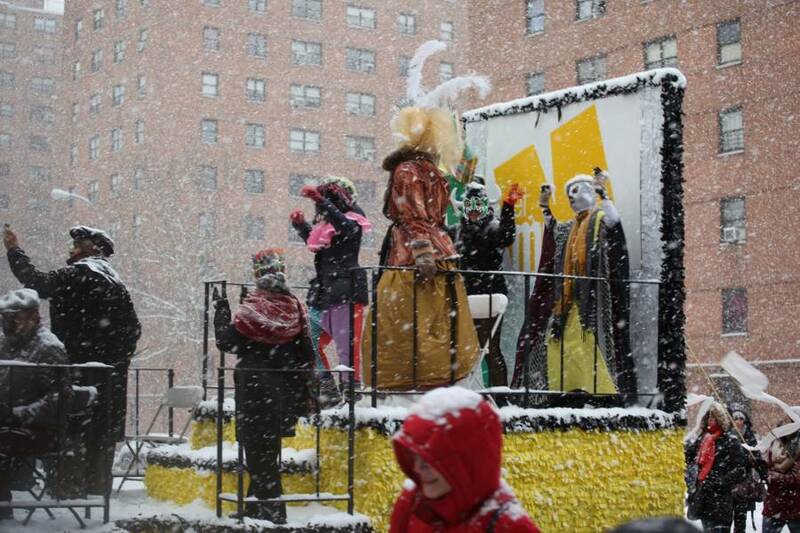 El Museo del Barrio hosts this annual parade—by far the largest and longest-running Three Kings Day fete in the City. Participants will join camels, sheep, a donkey, colorful puppets, brightly dressed community leaders—posing as the Three Kings—and thousands of spectators for a festive day filled with live music and gift giveaways. Don’t miss the boat. 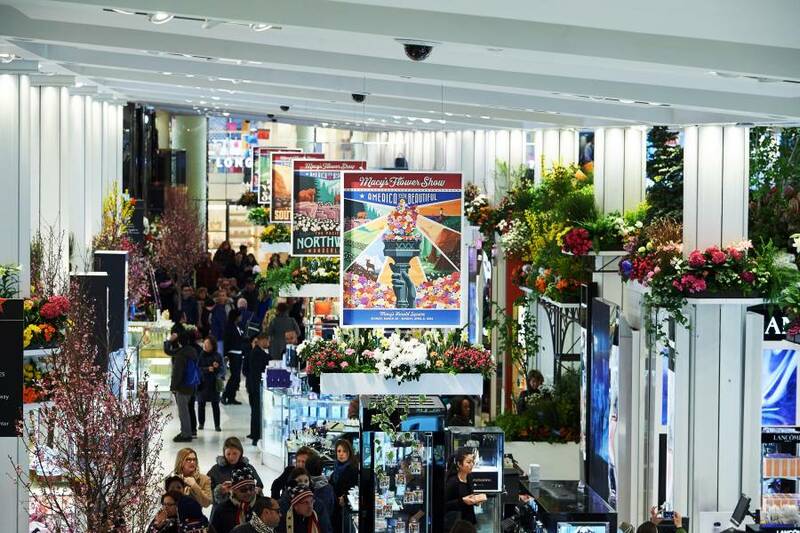 Yachts, fishing boats, kayaks—you’ll find them all at the New York Boat Show, a city institution for more than a century. 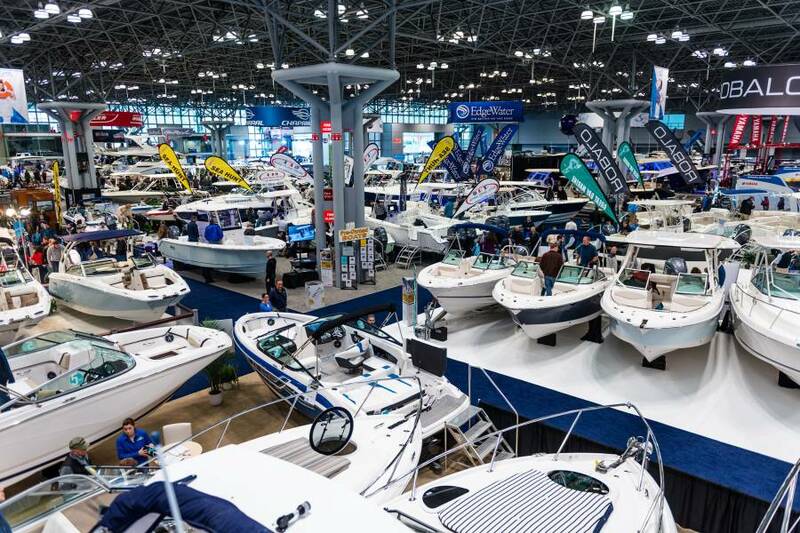 Each year, tens of thousands of attendees come to the Jacob K. Javits Convention Center to check out the latest in boats and fishing equipment. 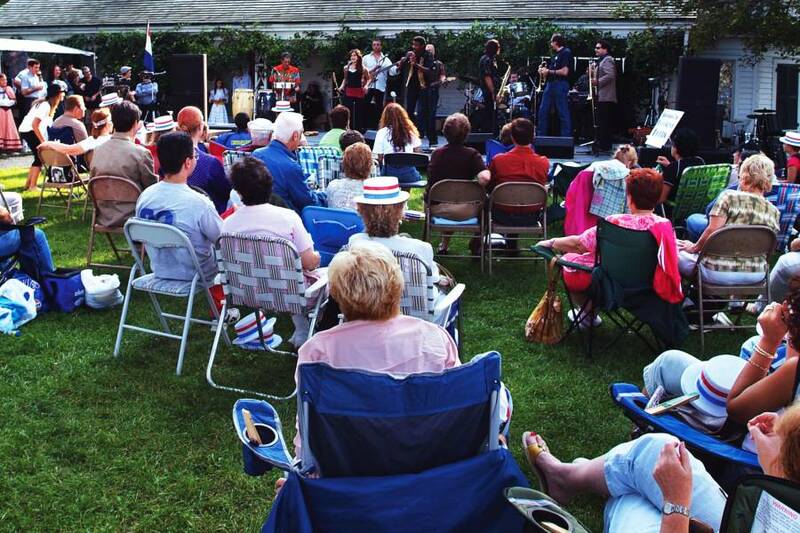 Visitors can also attend daily seminars with a full slate of fishing and boating pros. The New York City Ballet returns each winter with a six-week repertory season that includes world premieres, classics like The Sleeping Beauty and special tributes to legendary choreographers like George Balanchine—all taking place at David H. Koch Theater in Lincoln Center. 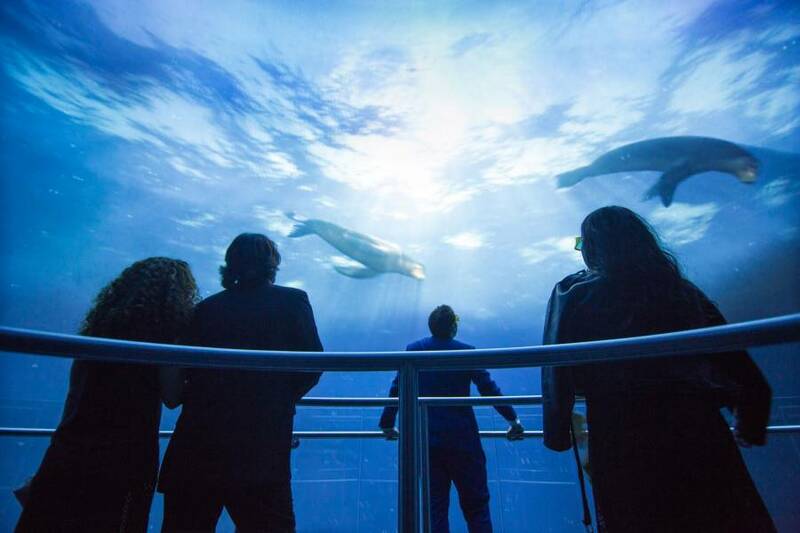 Each January, Must-See Week offers 2-for-1 admission to attractions, museums, tours and performing arts venues across all five boroughs. 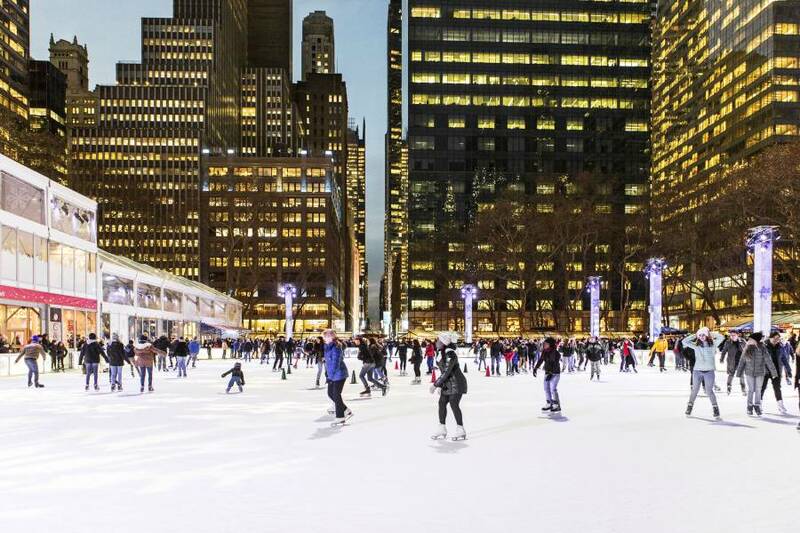 In previous years, experiences have included iconic NYC attractions, skyline views, historic sites and world-class institutions. In January and September, NYC Broadway Week provides audiences with the chance to purchase 2-for-1 tickets to exciting Broadway shows. 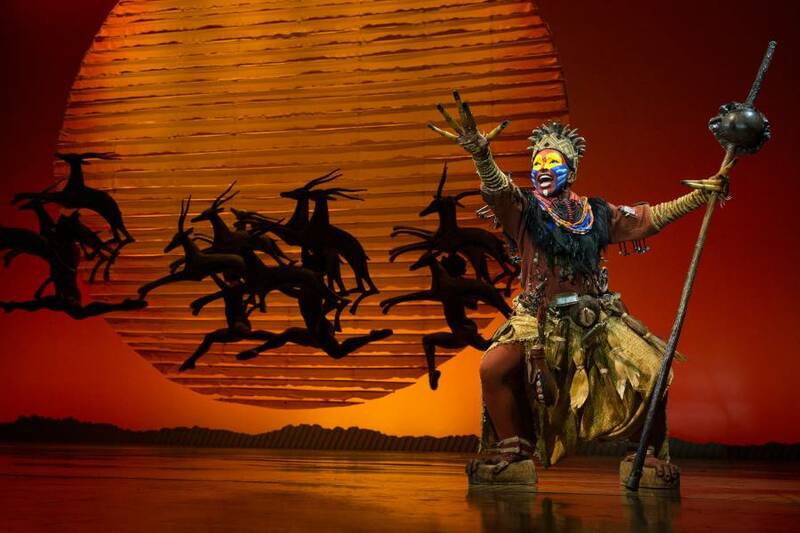 The hugely popular program includes both new productions and long-running hits, such as The Lion King, The Phantom of the Opera and Wicked. 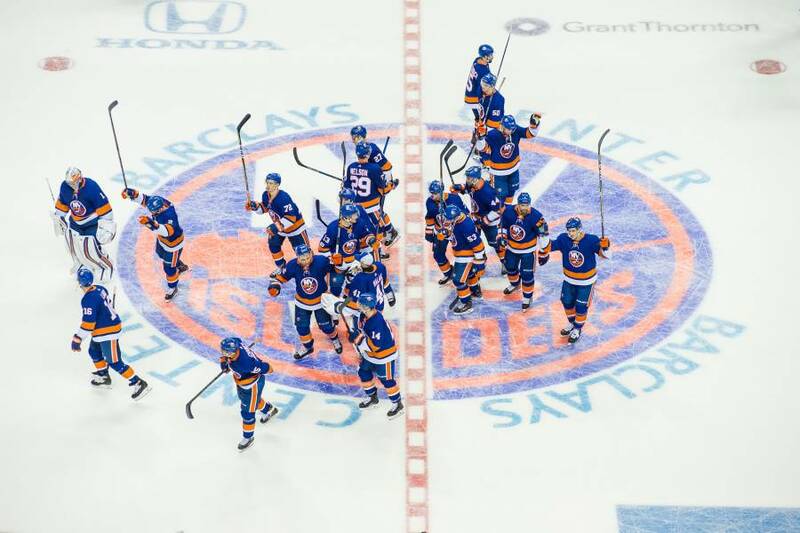 The celebrated dining program, which takes place each January and July, affords the opportunity to dine on two-course prix-fixe lunches and three-course set dinners at nearly 400 of New York City’s world-class restaurants. Diners can enjoy a range of fare by some of the City’s top chefs. Want to see a dragon dance? 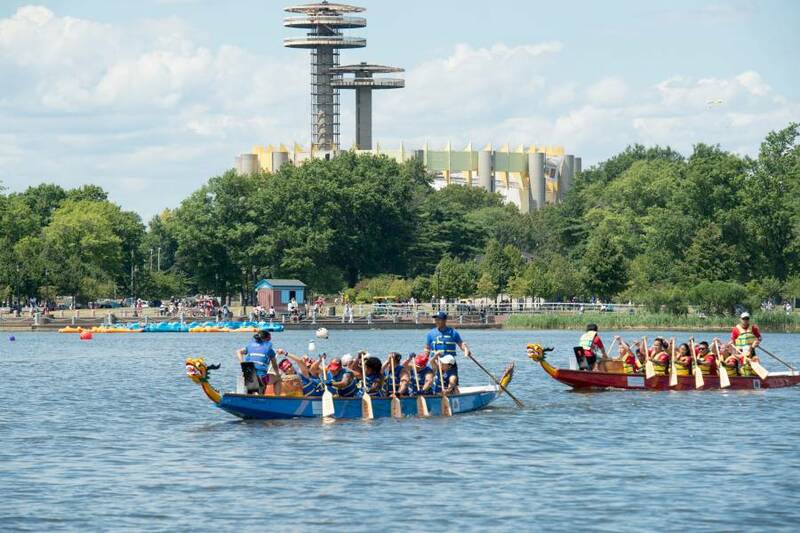 Then don’t miss this beloved cultural celebration, taking place in Manhattan’s Chinatown, as well as in Flushing, Queens, and Sunset Park, Brooklyn. 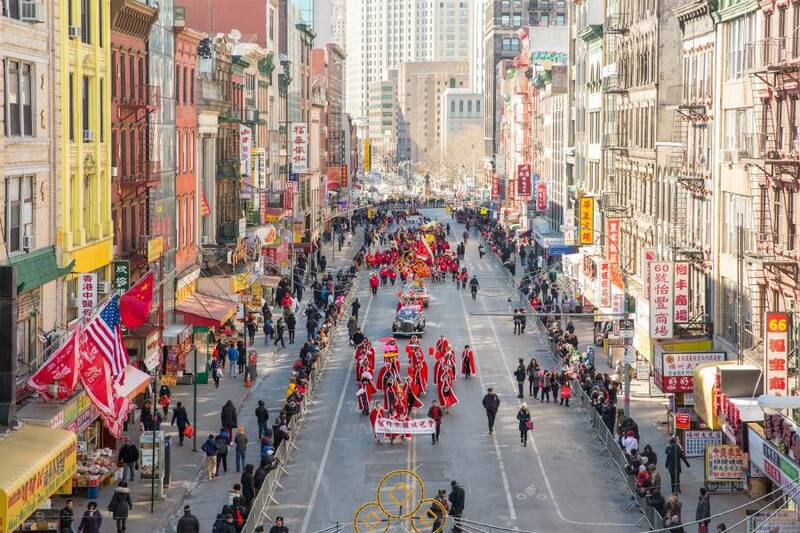 To ring in the Lunar New Year, dazzling dragon troupes wend their way through the streets, drawing crowds of hundreds of thousands, who also come to see elaborate floats, marching bands, martial artists, Asian musicians, magicians, acrobats and processions by local organizations. Other celebrations for the New Year include the Firecracker Ceremony and Cultural Festival (firecrackers are detonated to ward off evil spirits), the Lantern Festival and assorted family events in cultural institutions. 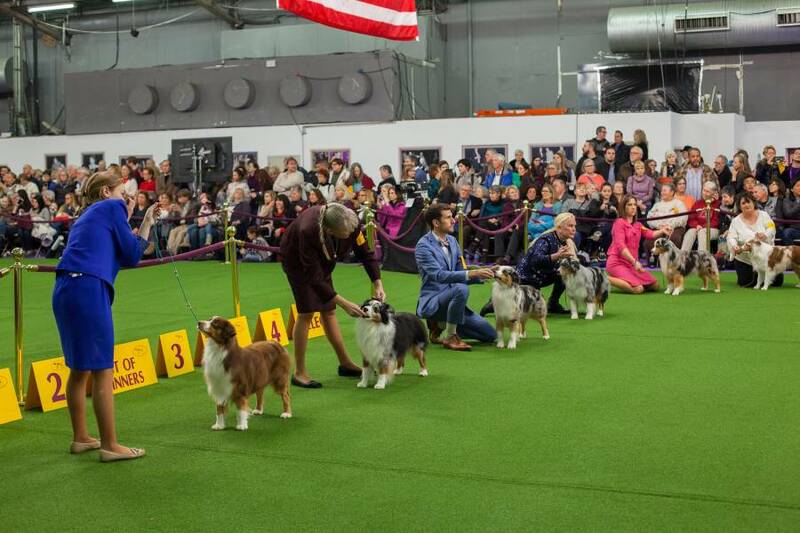 Each year, dog fans flock to Piers 92/94 and Madison Square Garden to find out which pooch will be dubbed Best in Show by the Westminster Kennel Club, America’s oldest organization dedicated to the sport of purebred dogs. Crowd and judge favorites, including terriers, retrievers, dachshunds and the ever-stylish poodle, will vie for top-dog honors throughout the competition. 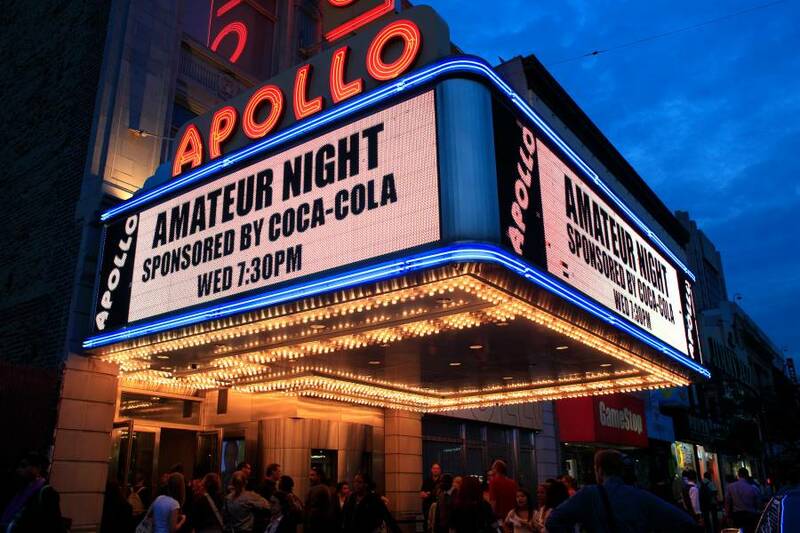 Since 1934, Amateur Night at the Apollo has served as the golden ticket to a big break for many performers. Each season of Amateur Night features a slate of new musicians, comedians and artists from all backgrounds looking to win over the capricious Apollo crowd on Wednesday nights. 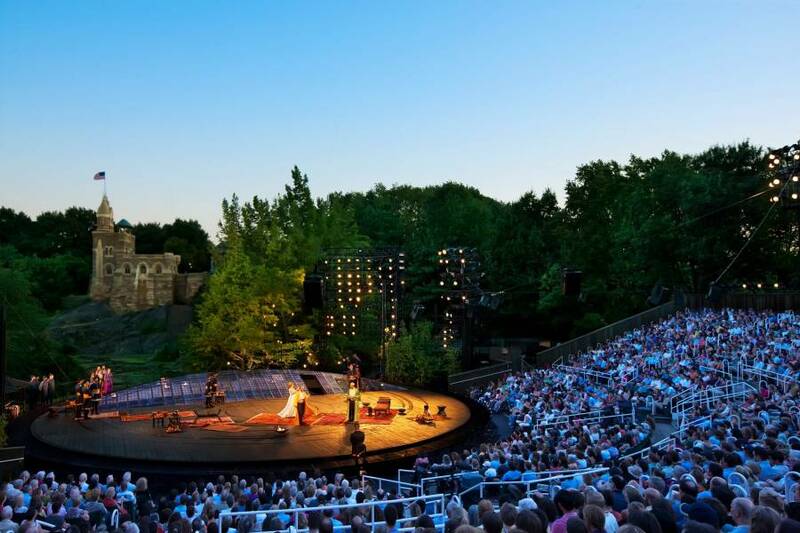 The popular biannual program, which takes place in winter (usually February) and fall (September or early October), offers 2-for-1 tickets to compelling Off-Broadway productions. 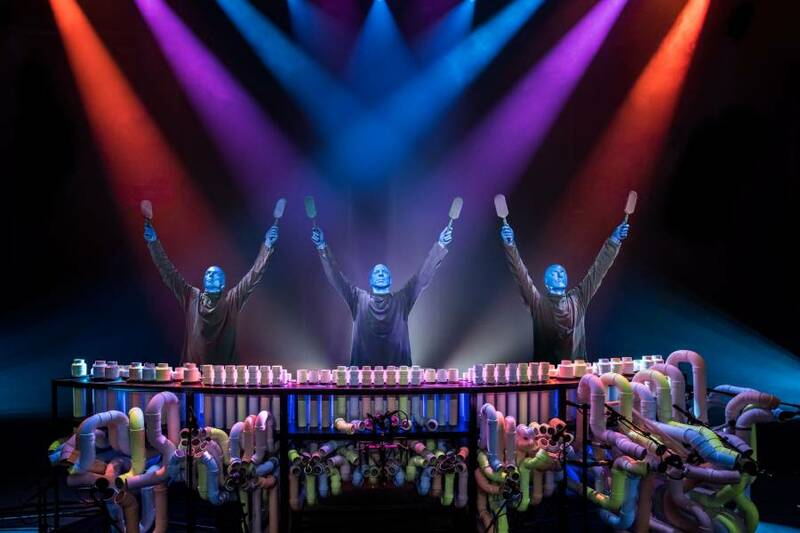 In years past, the event has featured popular shows including Blue Man Group and Stomp. 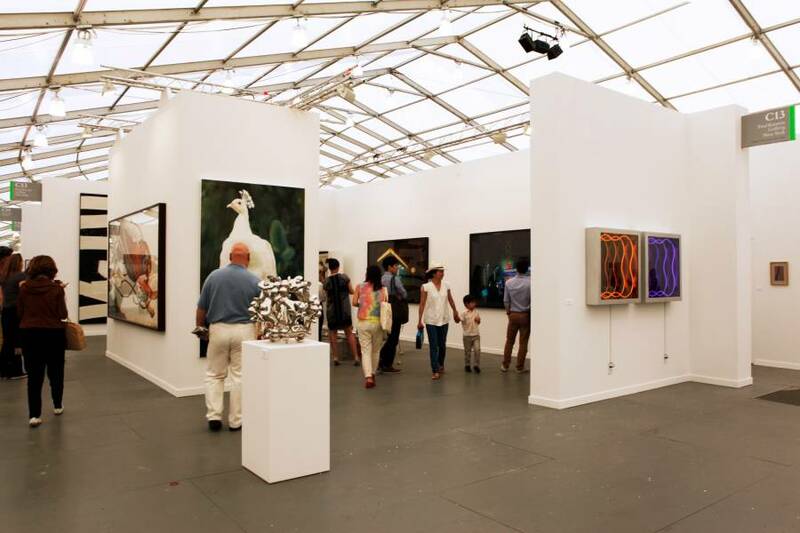 The world’s leading contemporary art fair has been a destination for art enthusiasts, collectors and gallerists since its inception as the Gramercy International Art Fair in 1994 (it was renamed and moved in 1999, and now takes place on Piers 92/94). 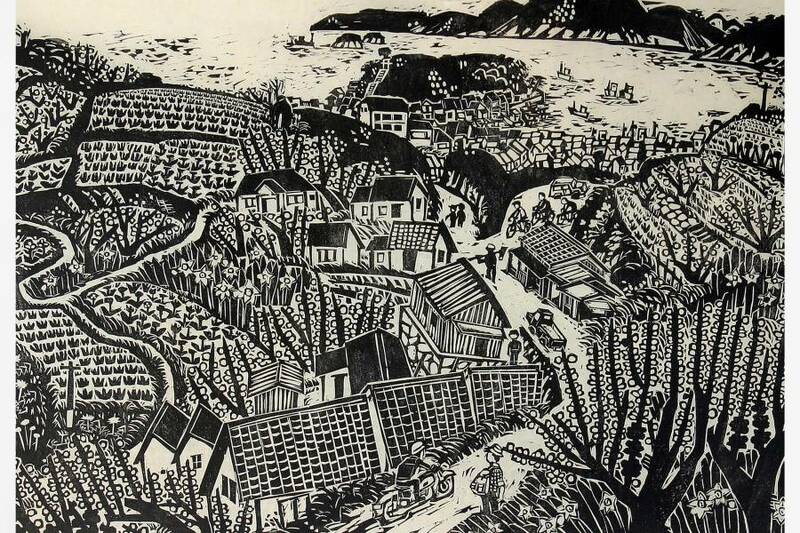 A special section, Insights, highlights historically significant 20th-century works. 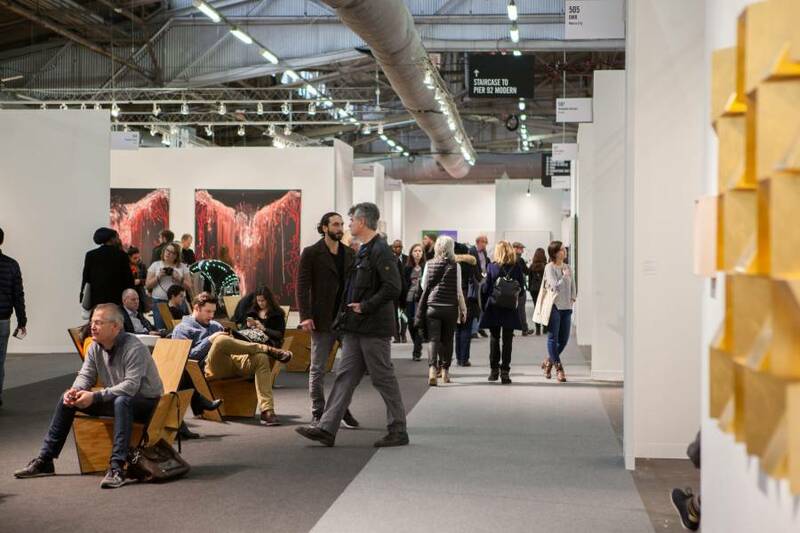 The Art Dealers Association of America’s (ADAA) annual show presents carefully curated exhibitions at the Park Avenue Armory; see group shows and solo projects from the late 19th century through today. 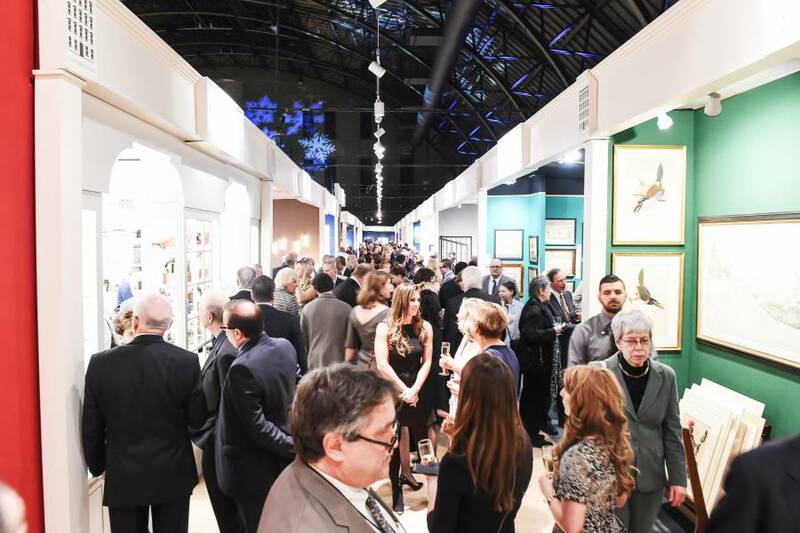 Special events take place each year, including panel discussions and a preview gala to benefit the Henry Street Settlement—a Lower East Side social services, arts and health care organization. For a week and a half, Asian art and culture take over New York City. 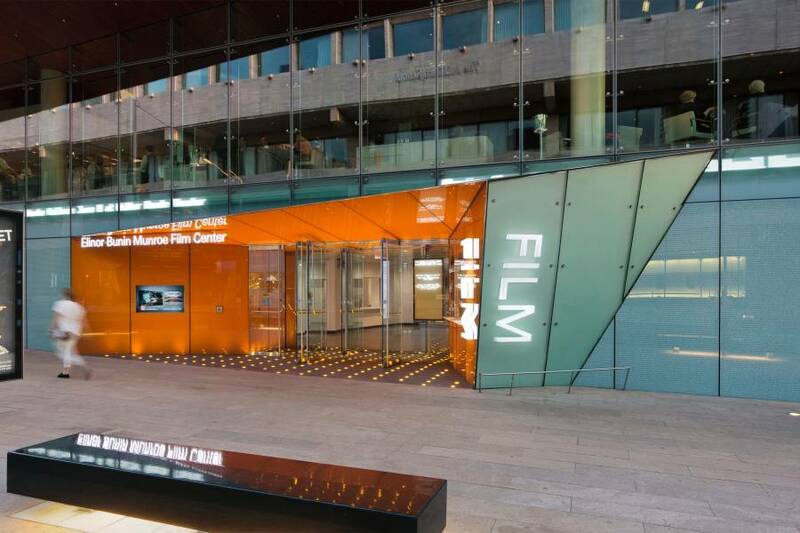 Galleries and cultural institutions like the Rubin Museum of Art, The Met Fifth Avenue and China Institute showcase works from the continent and host a full schedule of films, lectures, symposia, curator talks, tours and auctions. 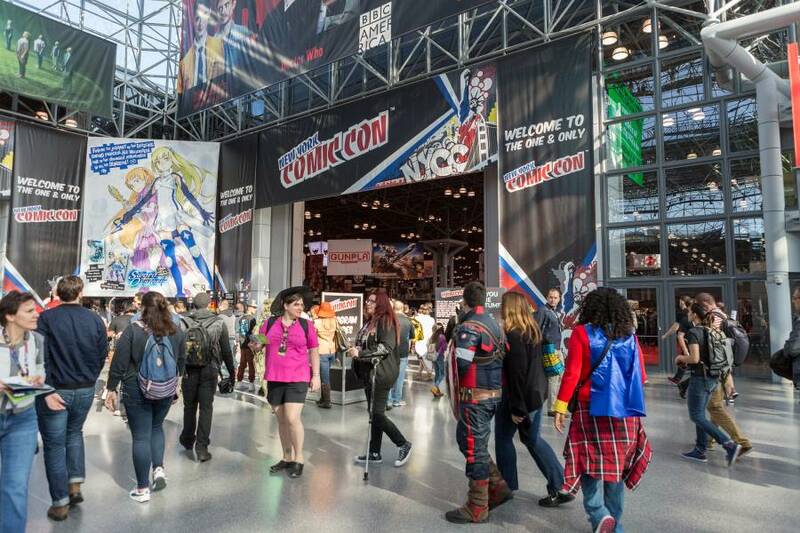 See tomorrow’s hottest cars before they hit the streets at the New York International Auto Show, held at the Jacob K. Javits Convention Center. 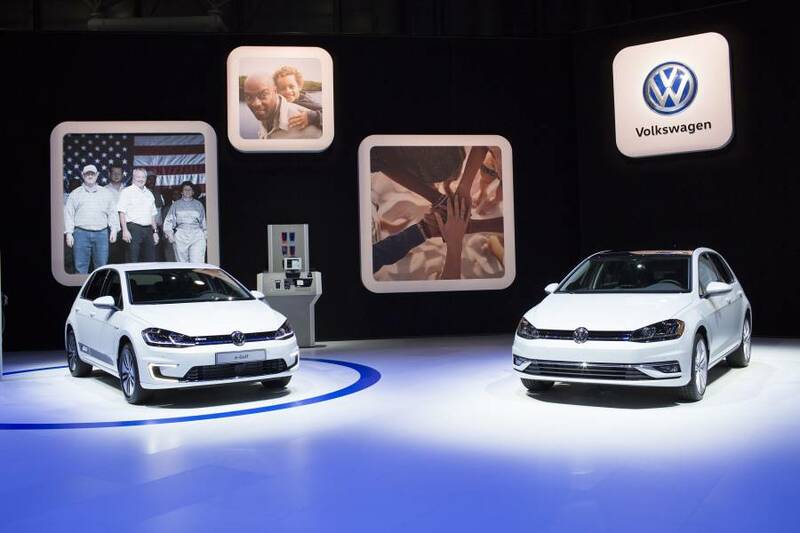 This high-octane event is North America’s oldest auto show and features the most innovative automotive technology, the hottest exotics and the latest in green initiatives. 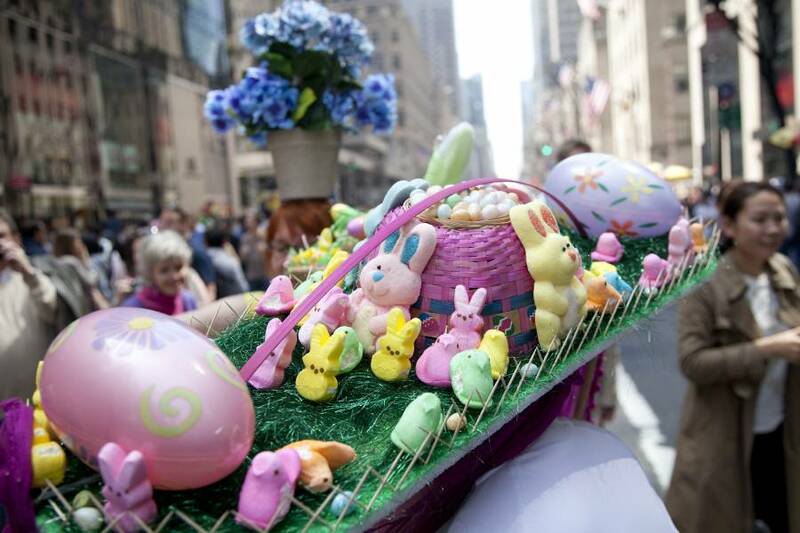 Every Easter (which falls anywhere from late March to late April), festive New Yorkers showcase their best bonnets while marching along Fifth Avenue. 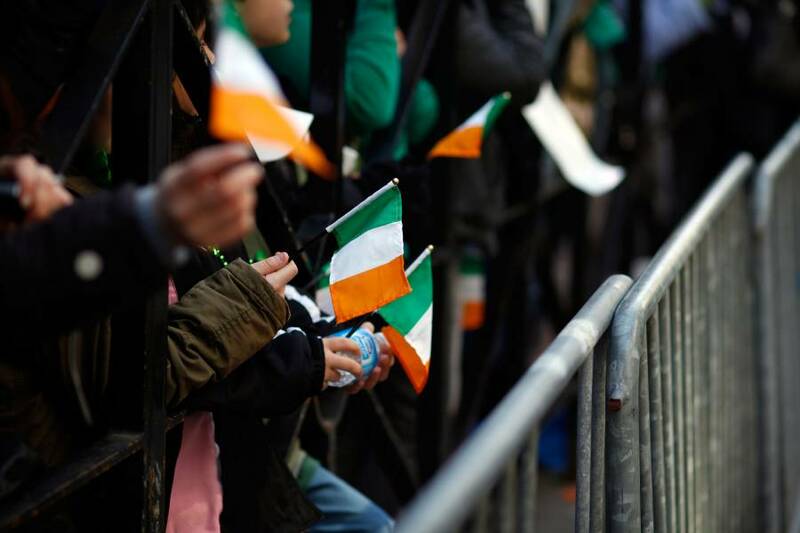 The parade travels north on the thoroughfare, starting at 49th Street, but the best place to watch the procession is from the area around St. Patrick’s Cathedral. Robert De Niro’s Tribeca Film Festival is a leading player on the entertainment scene. 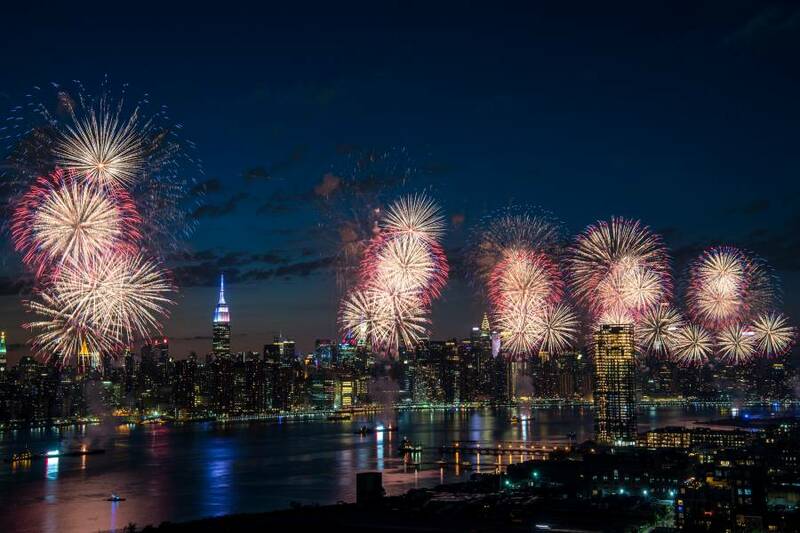 Founded in the wake of 9/11 to help revitalize Lower Manhattan, the annual fest celebrates film, music and culture, and transforms the downtown neighborhood into a hub for glamorous red carpets and gala affairs. 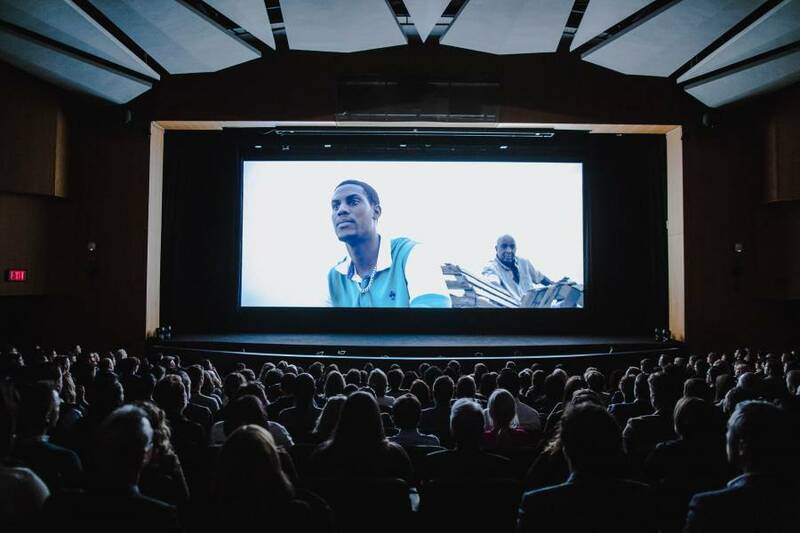 The festival screens more than 100 films from around the world and even offers free outdoor “drive-in” screenings—no car necessary. 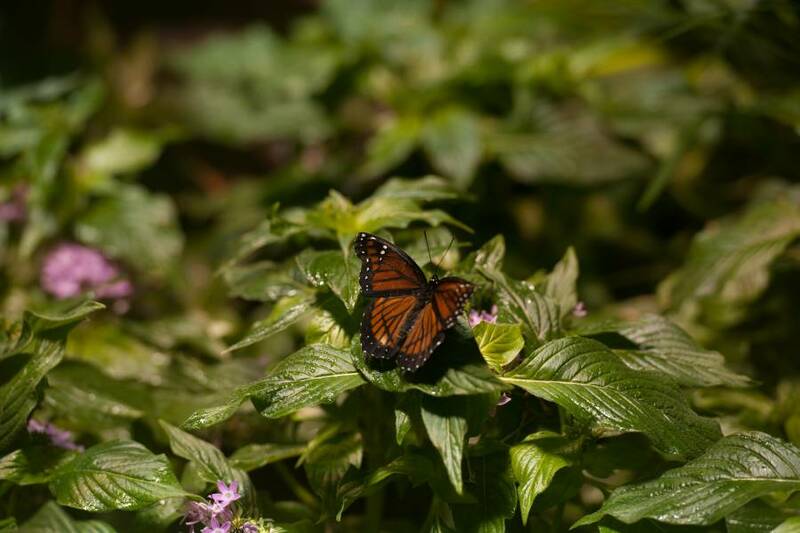 Celebrate the greenest time of the year in New York City by attending one of the many events that go on all week. 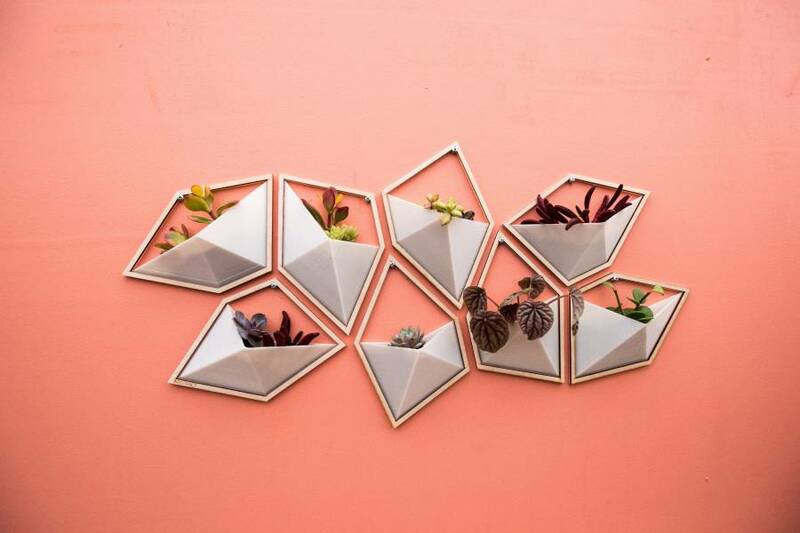 Encouraging locals and visitors to be earth friendly in every part of their lives, the City hosts art exhibitions, educational forums, entertainment and outdoor events in the parks. 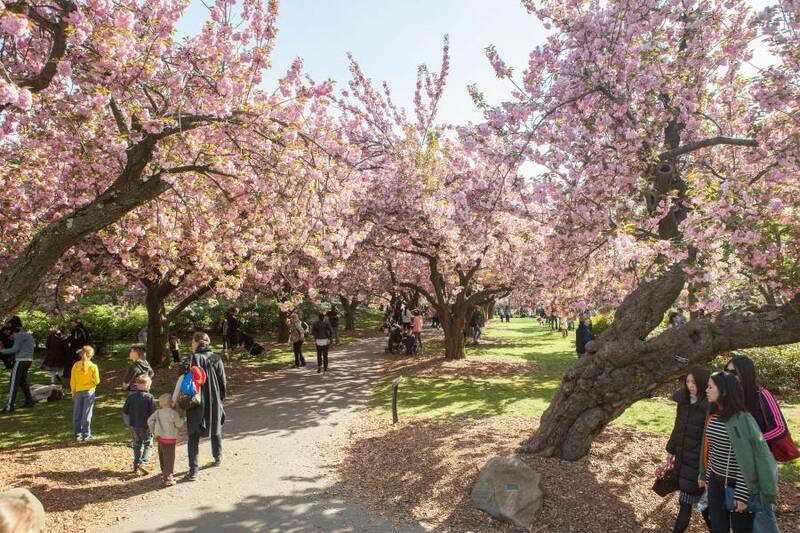 Each spring, more than 200 cherry trees at the Brooklyn Botanic Garden are in full bloom. 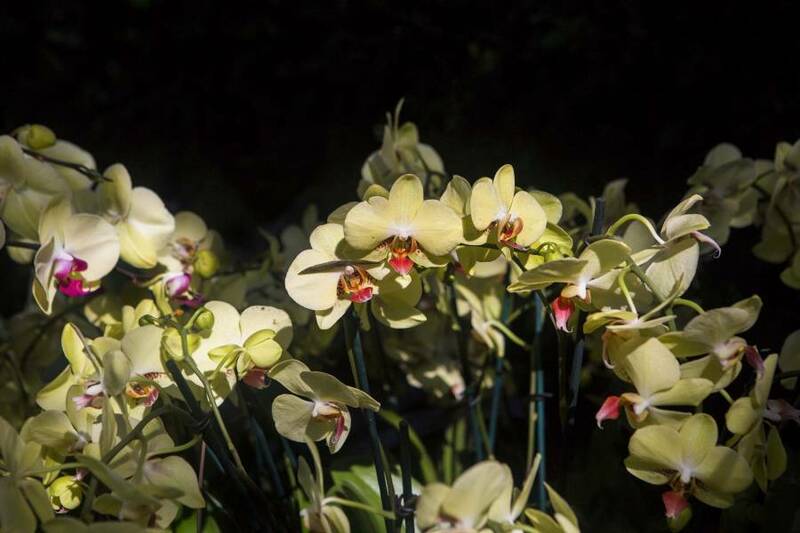 To celebrate, the garden hosts the weekend-long Cherry Blossom Festival, known by its Japanese name Sakura Matsuri. During the festival, visitors enjoy scores of events celebrating Japanese culture including J-pop concerts, traditional Japanese music and dance, taiko drumming, martial arts, bonsai-pruning workshops, tea ceremonies and manga art. 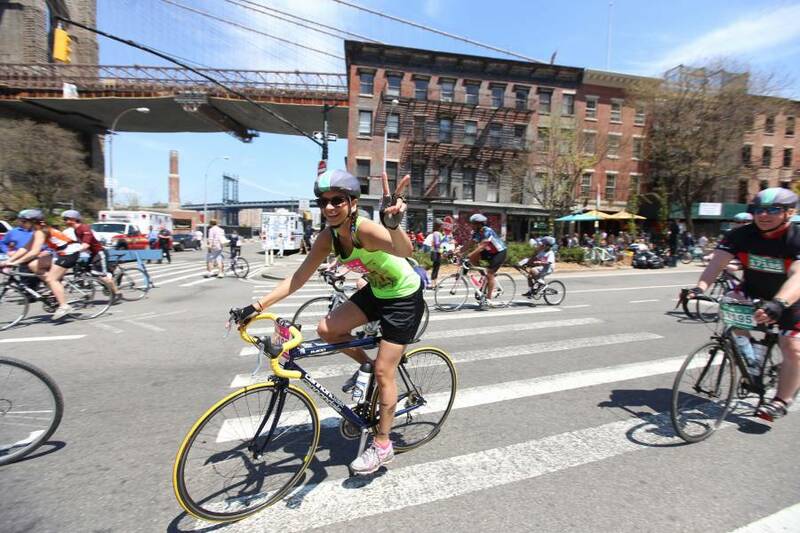 The Five Boro Bike Tour is an annual tradition that attracts 32,000 cyclists of all ages and abilities. The terrain along the 40-mile ride is mostly flat (and totally carless), so you don’t have to be an expert cyclist to join. 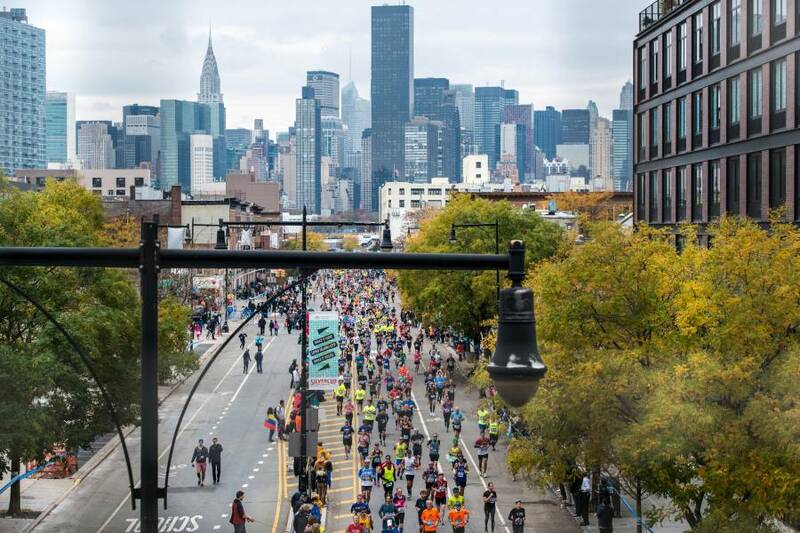 Take your time pedaling over five interborough bridges—including the Queensboro and the Verrazano-Narrows—and enjoy breathtaking views of the City from every angle. 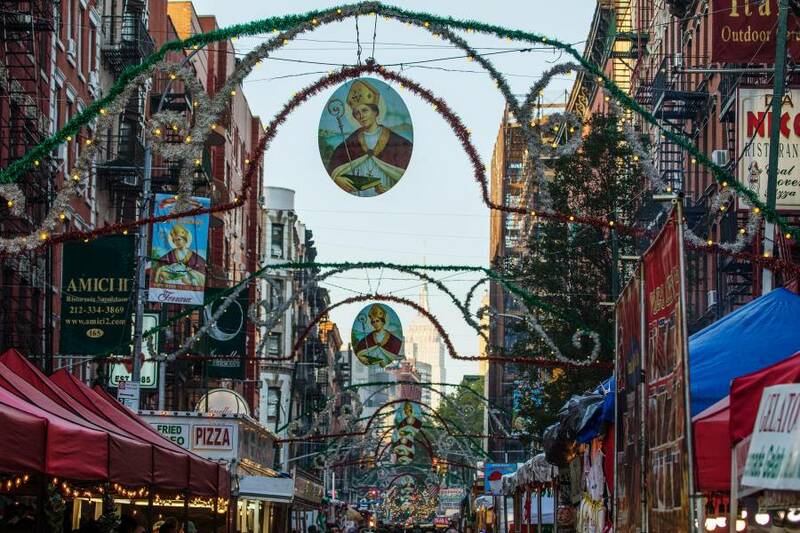 Taste what Hell’s Kitchen is cooking at this annual food festival, where restaurants and outdoor vendors serve up food to suit every palate. 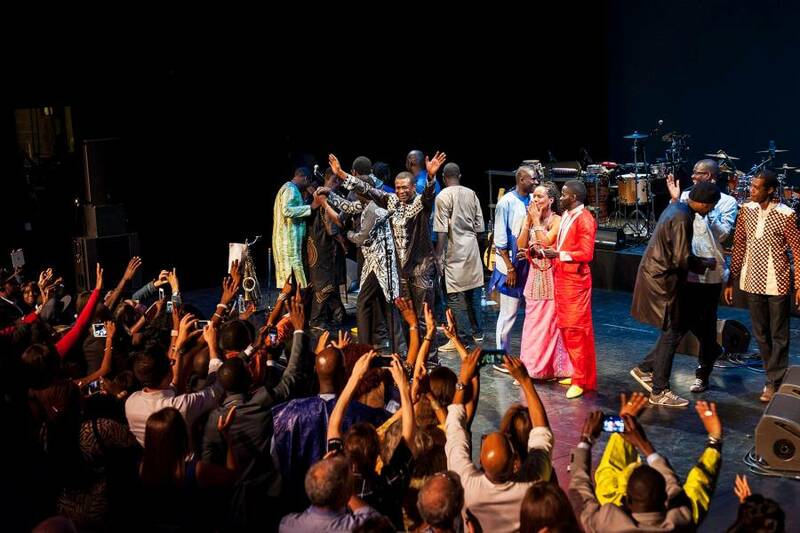 The 15-block gastronomic extravaganza features cuisine from Greece, Brazil, Italy, Morocco, Senegal, Ukraine, Thailand and everywhere in between, with music and dancing to match. 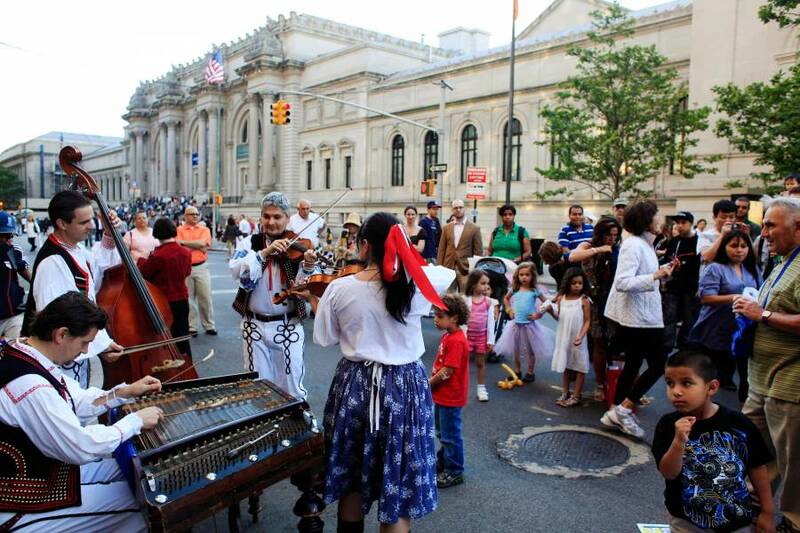 Some of the country’s finest museums offer free admission during this car-free Upper East Side block party, which features live music, street performers and activities for kids. 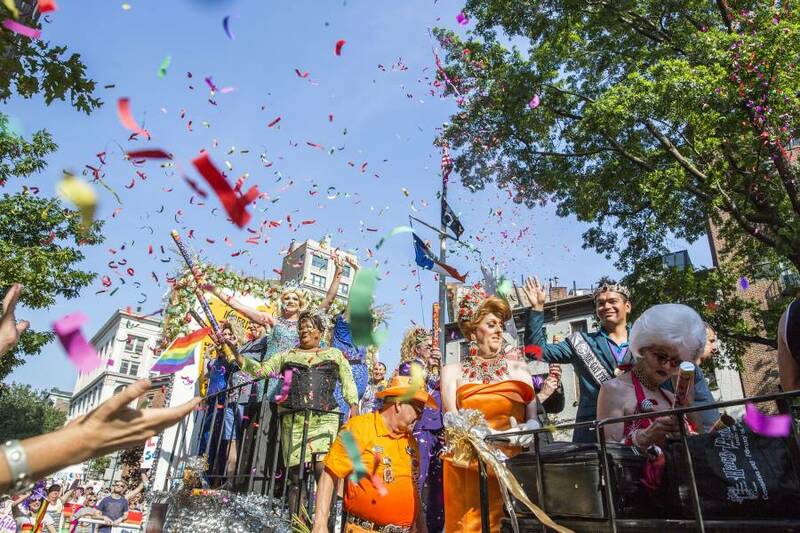 Along Fifth Avenue, between the Metropolitan Museum of Art and El Museo del Barrio, you’ll have the chance for a bargain crash course in New York City culture—rain or shine. 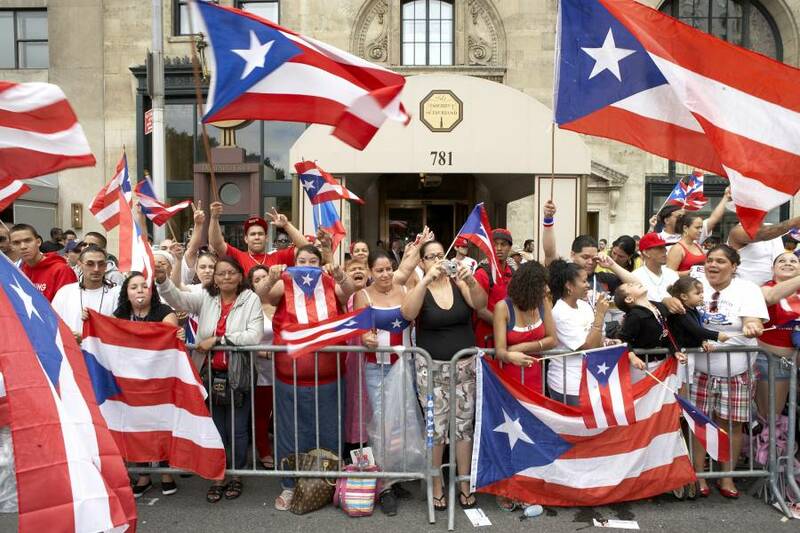 In celebration of their community, country and culture, more than 80,000 Puerto Ricans march on Fifth Avenue from 44th to 79th Streets in Manhattan as part of the annual National Puerto Rican Day Parade. 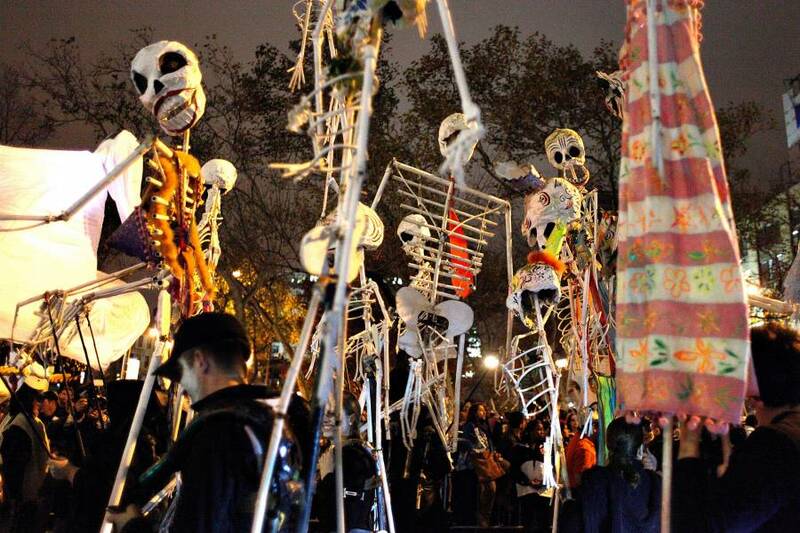 “Lively” doesn’t even begin to describe this event, which welcomes around 2 million spectators every year, plus energetic musical performances, floats and a host of Puerto Rican celebrities. 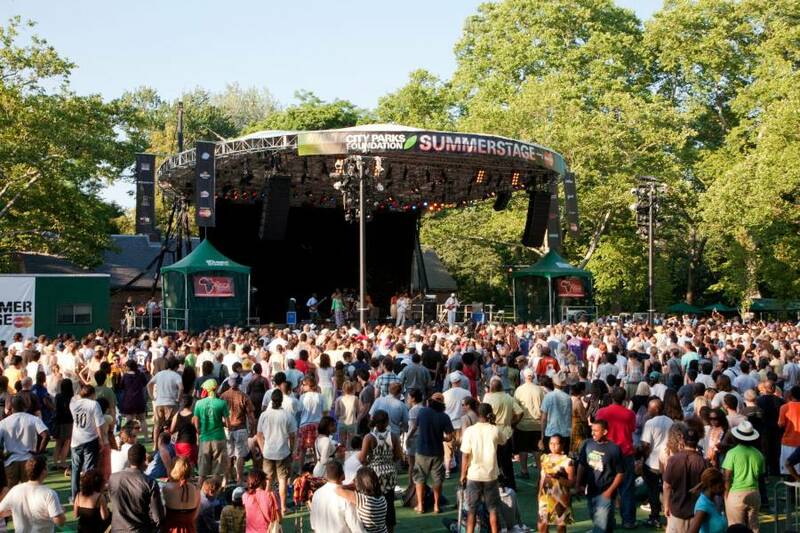 This annual feast brings authentic, top-quality barbecue to NYC. 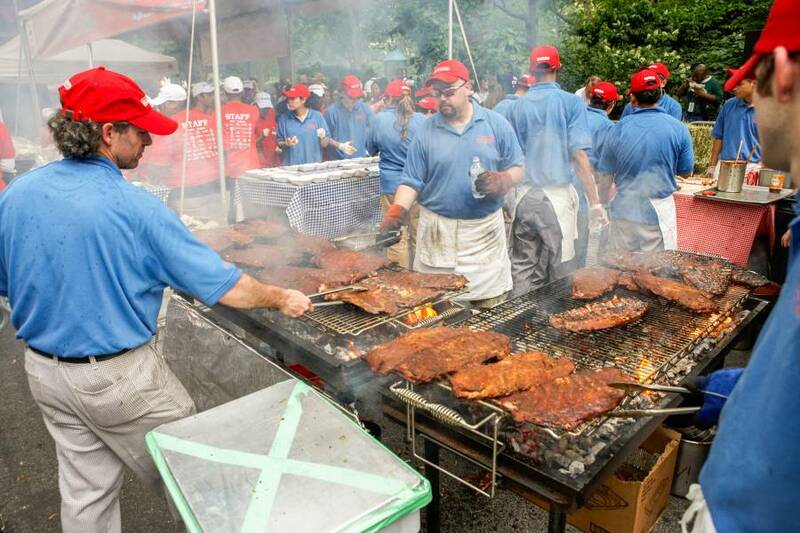 Each year’s event features pitmasters from New York City and around the country, including barbecue capitals such as Texas, Missouri and Tennessee. Count on beer and music in addition to the ’cue. 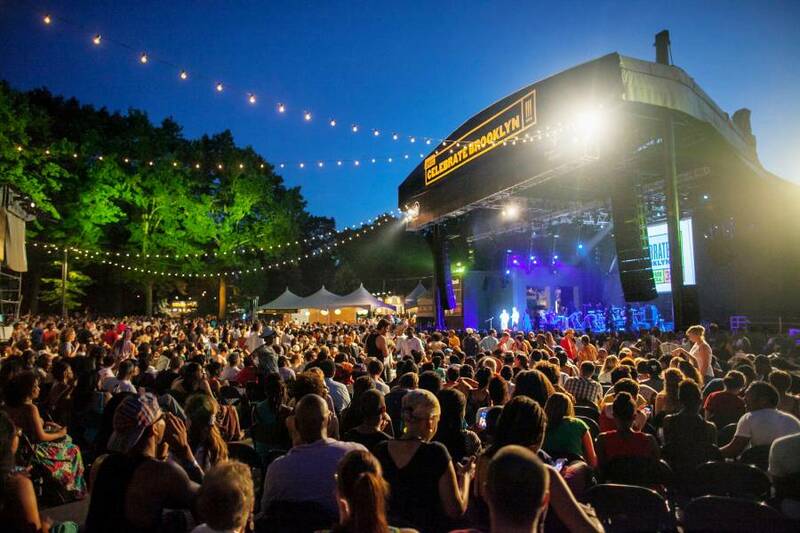 Celebrate Brooklyn has provided free music, dance, theater, film and specially commissioned projects for four decades. 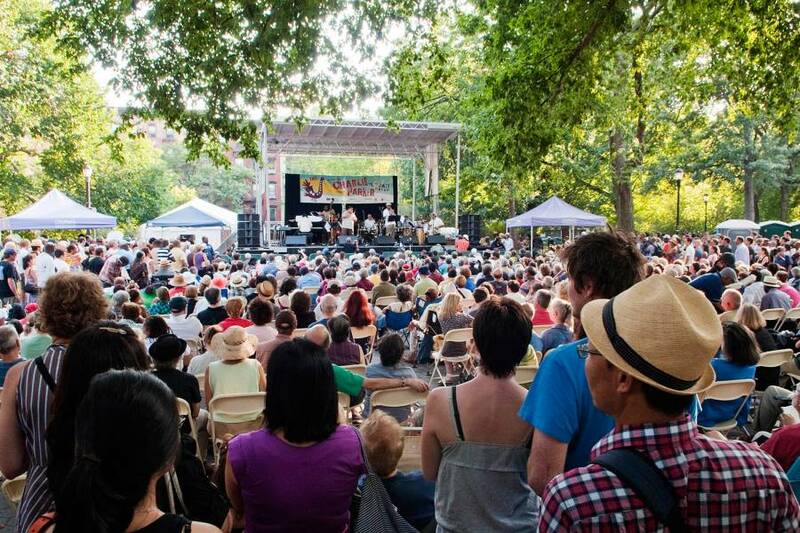 One of the City’s longest-running outdoor arts festivals, it has featured such acts as They Might Be Giants and Maceo Parker. Don’t miss the Music & Movies program, where artists play along with screenings of silent, animated and short movies. 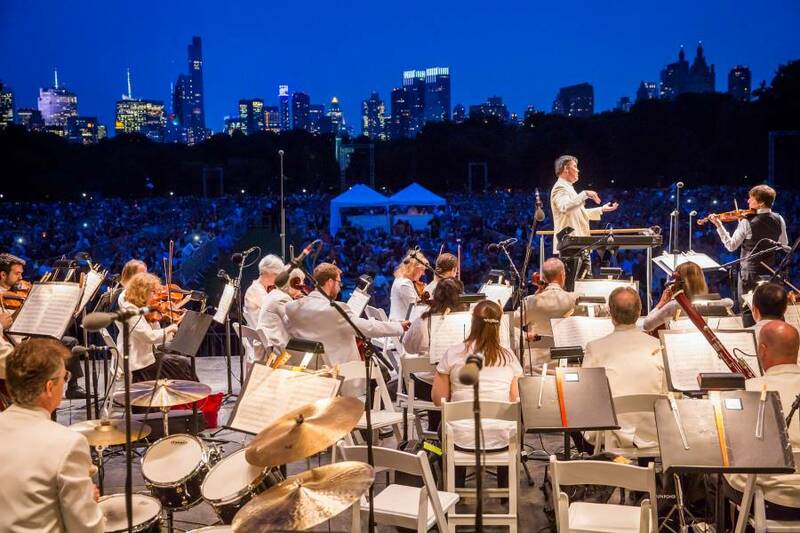 The New York Philharmonic’s annual weeklong tour of the City’s parks brings free classical music to all five boroughs, with performances at Van Cortlandt Park in the Bronx, the Great Lawn in Central Park, Cunningham Park in Queens and Prospect Park in Brooklyn. 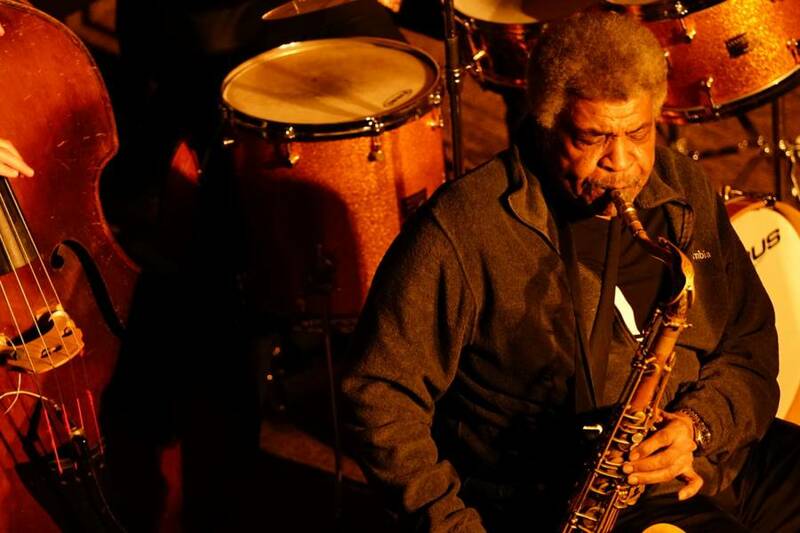 An indoor concert at Staten Island’s Music Hall at Snug Harbor ends the celebration. 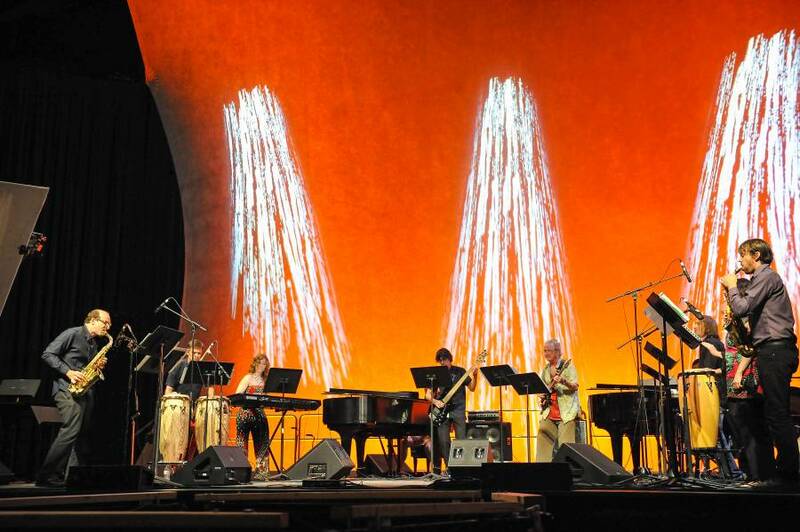 Throughout the summer, Lincoln Center presents a number of annually recurring programs, each with a bit of a different theme. First up is Midsummer Night Swing, which allows you to take dance lessons and try out your moves to live music under the stars. Out of Doors includes music, dance, spoken-word events, family shows and specially commissioned works—all for free. And, finally, Mostly Mozart comprises performances of works by the acclaimed composer. 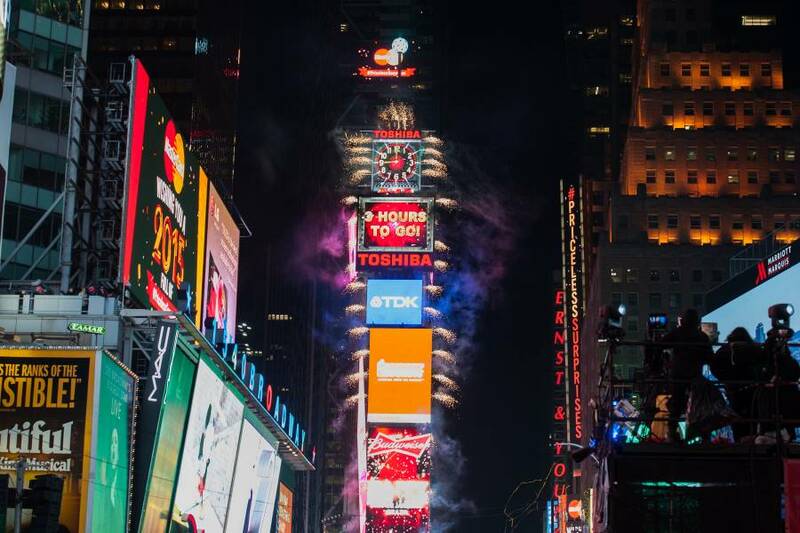 The celebrated dining program, which takes place each January and July, affords the opportunity to dine on two-course prix-fixe lunches and three-course dinners at nearly 400 of New York City’s world-class restaurants. 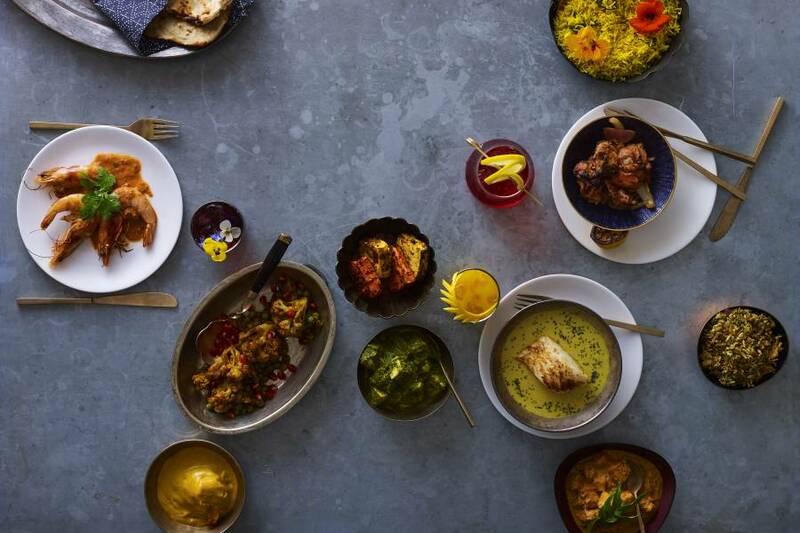 Diners can enjoy a range of fare by some of the City’s top chefs. 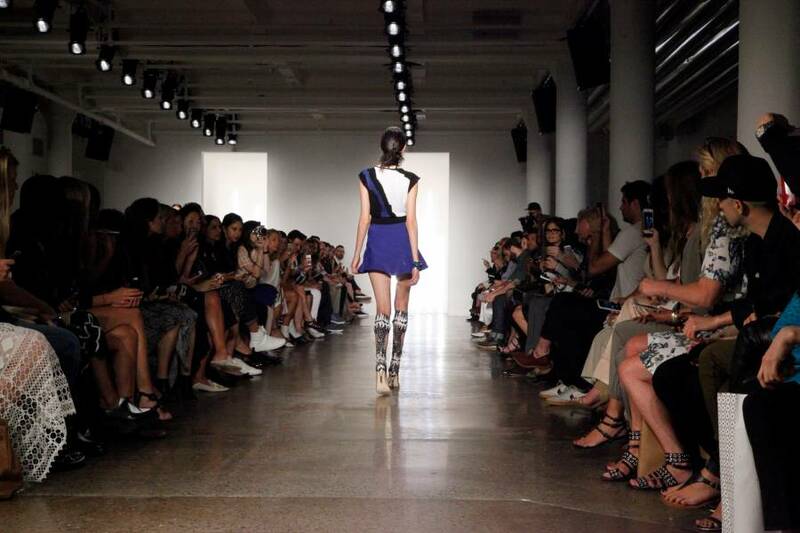 Fashion Week promises a week of star-studded soirees showcasing the newest styles for the upcoming spring season. The world’s top designers debut their collections on the runway, as style-conscious celebrities and industry insiders look on. 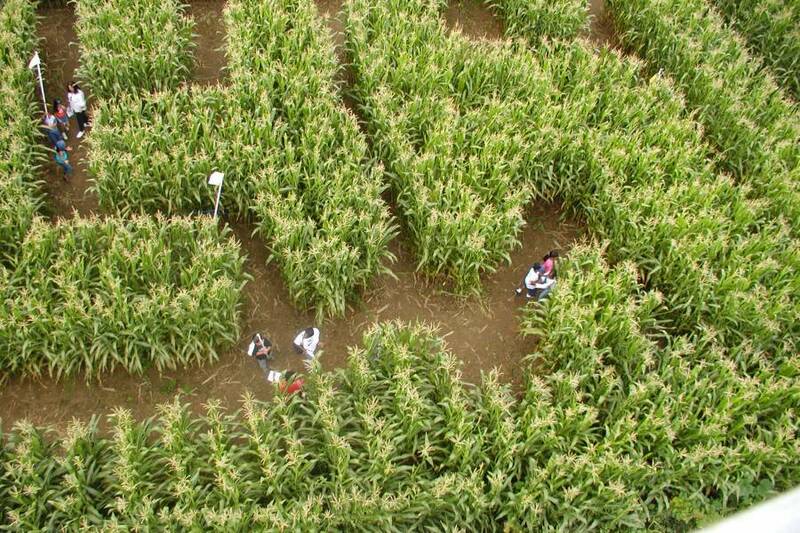 Land on a guest list, and you can be right there with them. 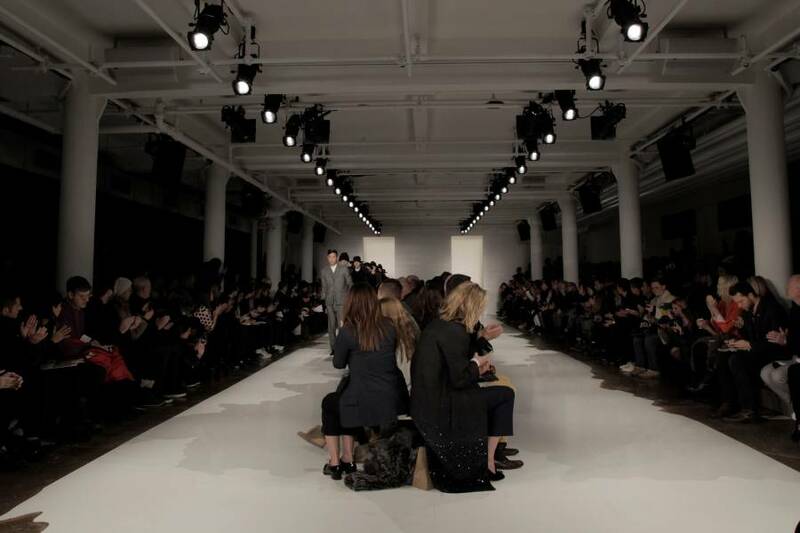 Fans of up-and-coming designers, meanwhile, will want to pay attention to MADE Fashion Week, which takes place in the Meatpacking District. This festival has been bringing some of the world’s most inventive cinema to New York City since 1963. This is the place to see cutting-edge films before they hit it big—in the past, the festival has showcased the likes of Jean-Luc Godard, Pedro Almodóvar and Martin Scorsese. Adventurous cineastes will want to check out the Projections sidebar, a selection of new avant-garde films. 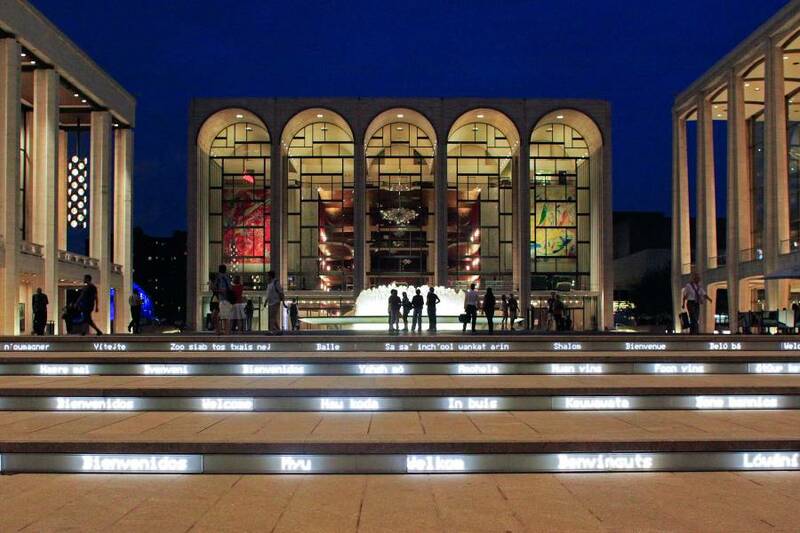 The Metropolitan Opera always promises a sensational lineup, with company premieres, new productions and exciting revivals. Notable performances have included Georges Bizet's Carmen, Julie Taymor’s production of The Magic Flute, John Adams’ Nixon in China and Gioachino Rossini’s rarely staged French opera Le Comte Ory, under the direction of Bartlett Sher. 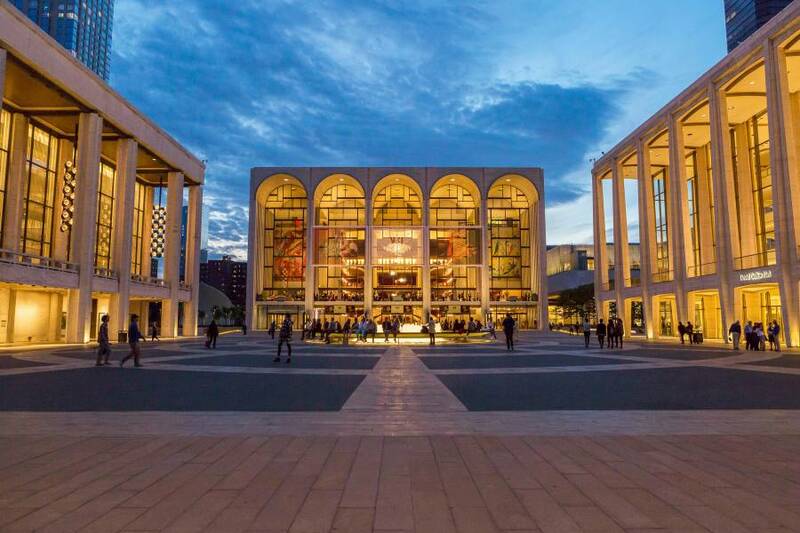 The New York City Ballet’s fall season typically includes favorites from the likes of Balanchine, Robbins and Tchaikovsky, all performed at Lincoln Center’s David H. Koch Theater. 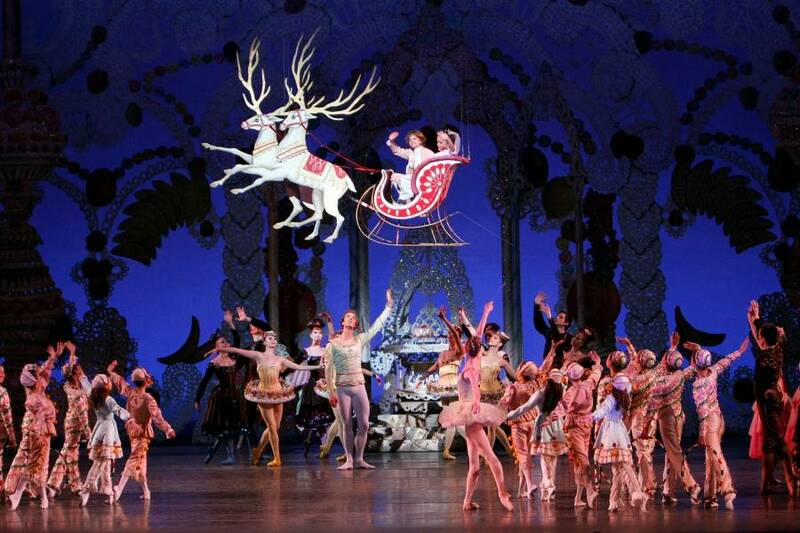 The season kicks off with the Fall Gala and culminates with performances of The Nutcracker, a Christmastime highlight. Consistently on the vanguard, Brooklyn Academy of Music hosts this showcase of creative dance, theater, film and literature from around the world. Past offerings have included the Philip Glass opera Kepler (of planetary motion fame), Isabelle Huppert starring in Phaedra(s) and Ivo van Hove’s staging of The Fountainhead. NYCWFF includes a few food-and-beverage-filled days, featuring Food Network personalities like Rachael Ray and Ted Allen as well as a deep squad of local all-star chefs, restaurateurs and purveyors. 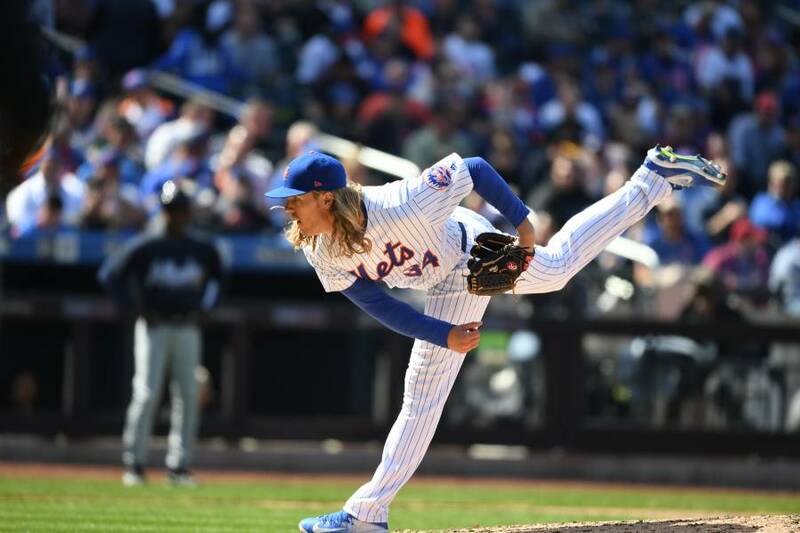 Past events have included the competitive Blue Moon Burger Bash, a trivia-oriented Food Fight with Guy Fieri, Bagel Making with Black Seed Bagels and Dinner with Alain Ducasse—just some of the hundred or so happenings at venues all around the City. 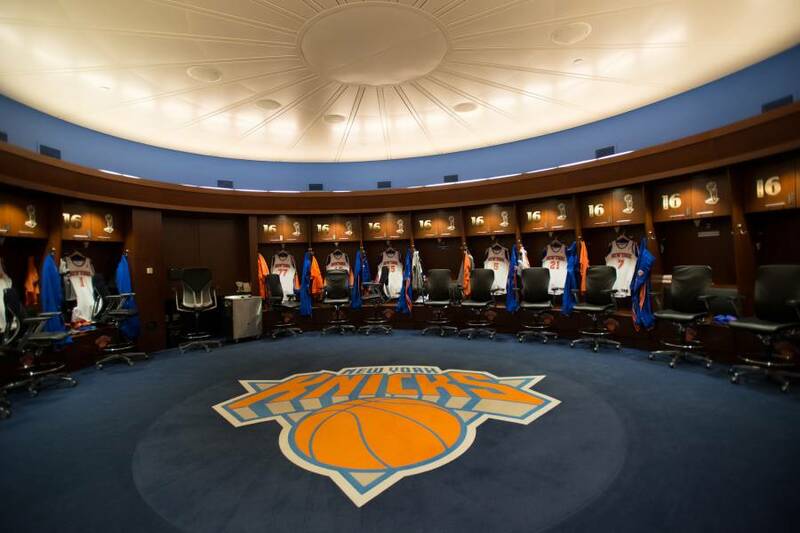 The Knicks, Manhattan’s NBA team, boast a rich history that includes a pair of titles, stretches of futility and plenty of rekindled hope. 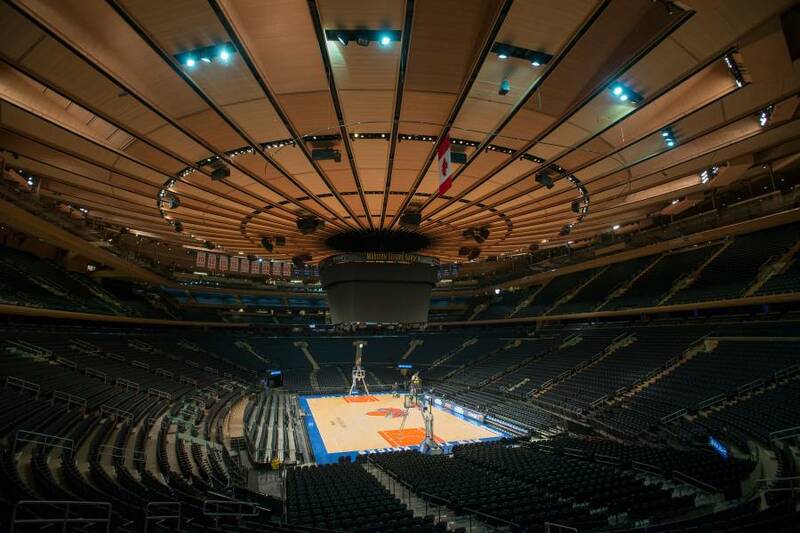 The rabid fan base always makes a game at Madison Square Garden feel like an event, with celebrities frequently seated courtside. The Nets’ had their debut season at Barclays Center in 2012 and are a team on the rise. 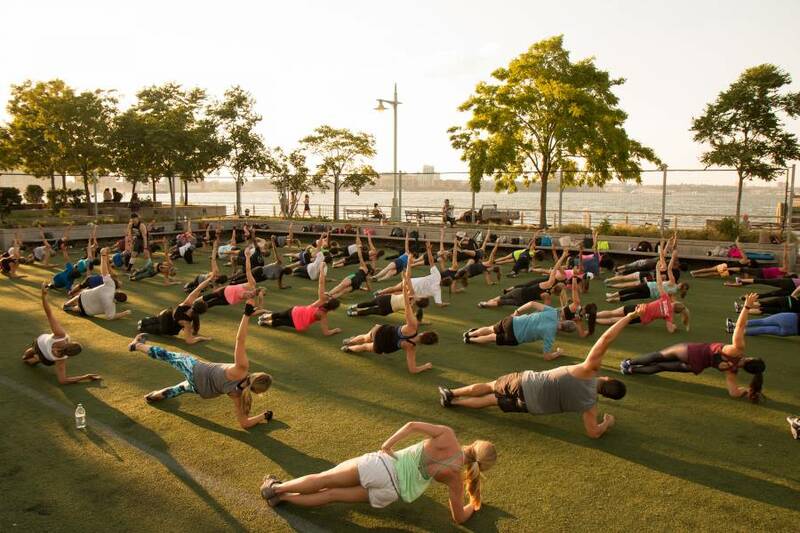 Their black-and-white gear has become a staple on the borough’s streets. The season runs through the spring. 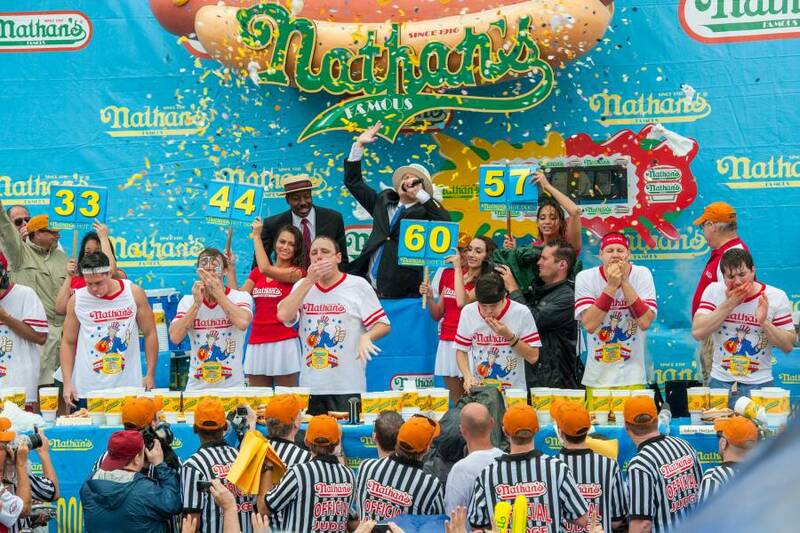 Nearly every big name in comedy graces a New York City stage during the NYCF. Past participants have included Norm Macdonald, Bridget Everett, Ricky Gervais, Hannibal Buress, Judd Apatow and Iliza Shlesinger. Serious, professionally minded panels share the schedule with over-the-top improv nights at small venues along with large-scale shows at venues like Madison Square Garden and Town Hall. 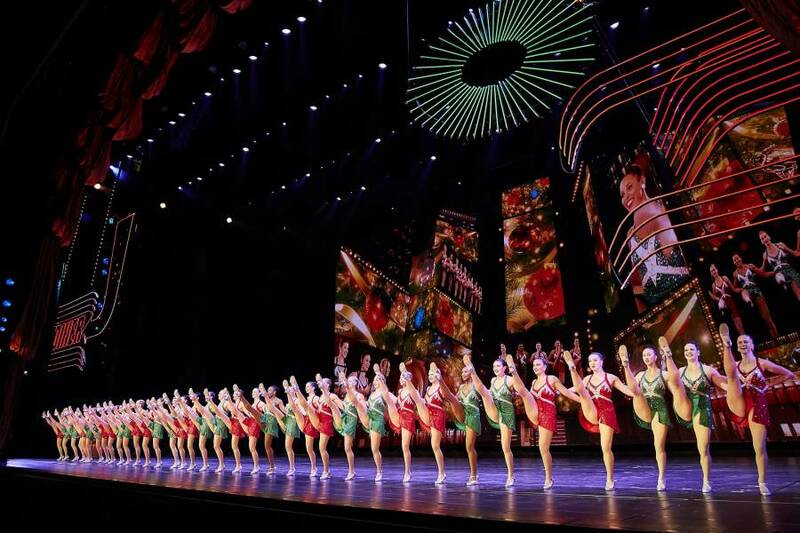 New York City’s most famous holiday production, which originated back in 1933, has adapted over time to include original scenes and Rockettes numbers, along with showstopping special effects that include fireworks, flying snowflakes and animated projections. 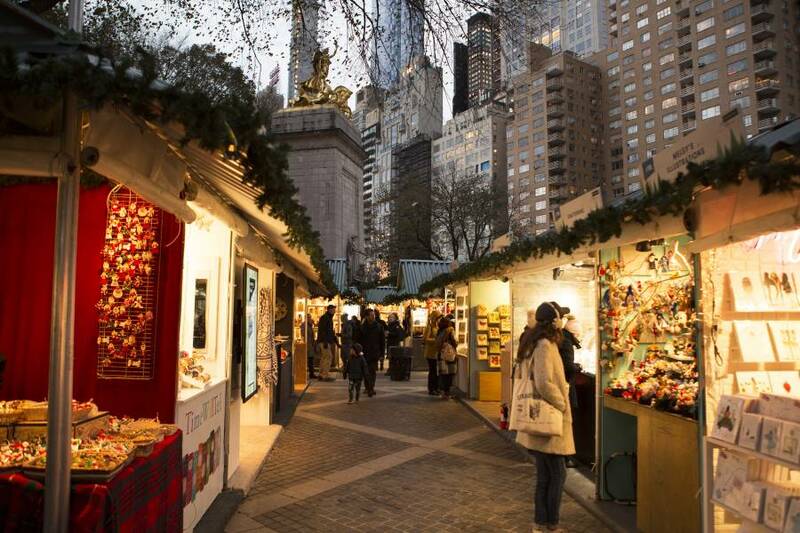 The traditional parts of the show—such as “The Living Nativity” and “Parade of the Wooden Soldiers”—remain crowd favorites in Radio City Music Hall’s annual showcase. 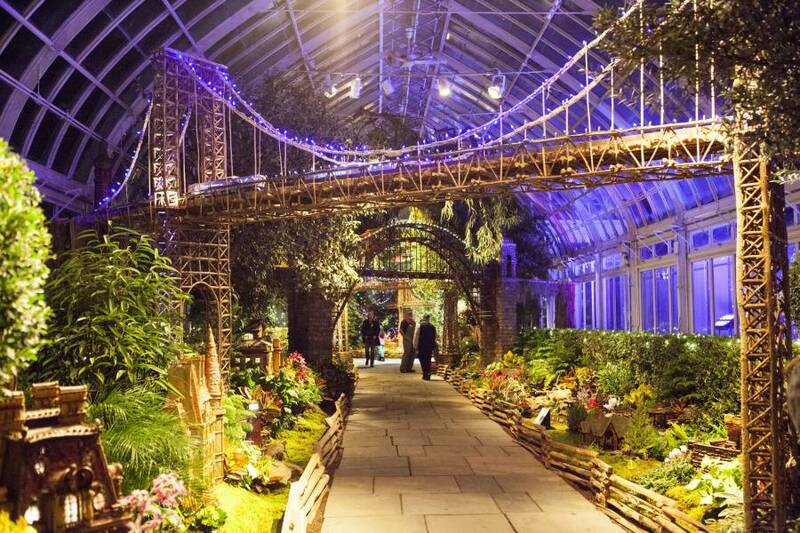 A family favorite, the Holiday Train Show at the New York Botanical Garden features toy trains chugging alongside some 175 replicas of City landmarks made from bark, seed and other plant materials. 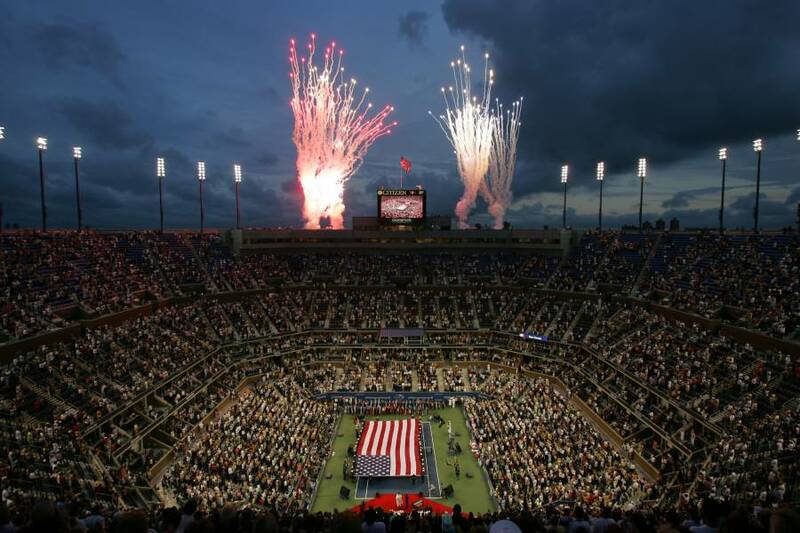 Highlights include renderings of Yankee Stadium, assorted Midtown skyscrapers, famous Coney Island rides and a George Washington Bridge that spans the exhibition’s entrance, as well as a sound-and-light show. Holiday decor gets a historical makeover with the American Museum of Natural History’s Origami Holiday Tree. The museum draws inspiration from its own collection for the roughly 1,000 folded-paper works, constructed by volunteers throughout the year. Explore the permanent-exhibition halls, current shows and expansive collections to see which pieces made their way onto the 13-foot tree. 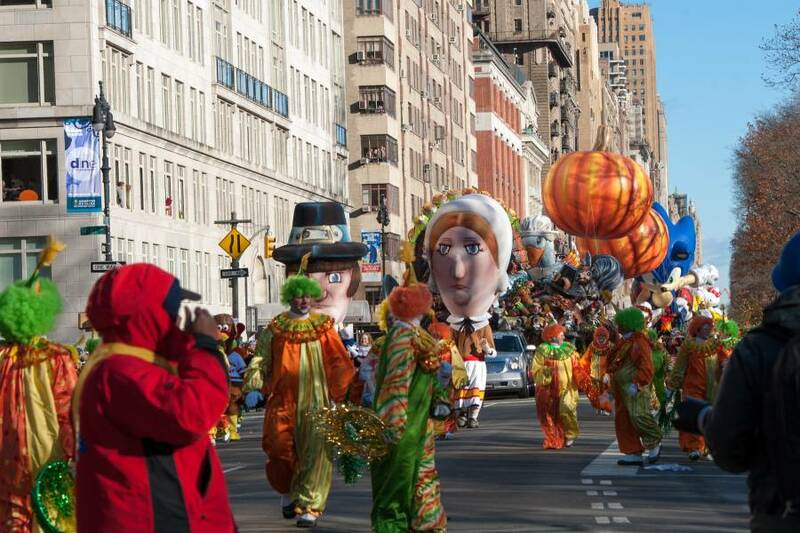 Marching bands, celebrity guests and notable performers bring excitement to the Macy’s Thanksgiving Day Parade, but they take a back seat to the real stars of the show—the balloons. 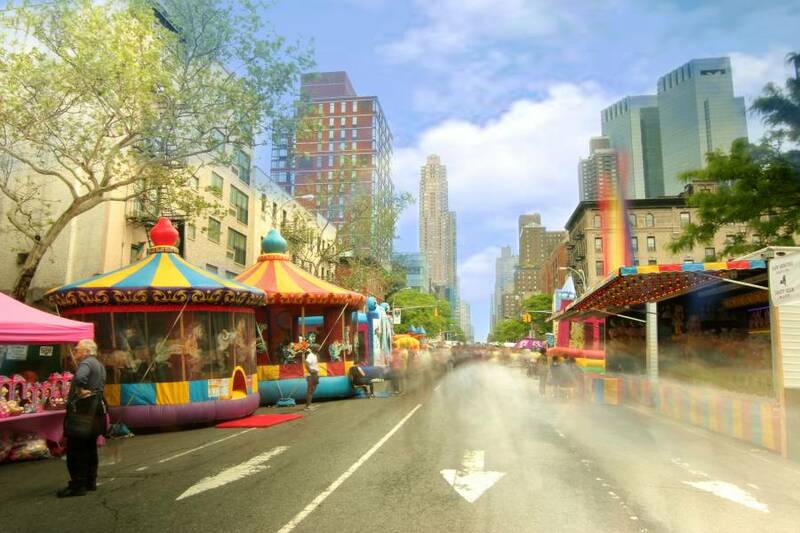 Every year, more than 3 million cheering spectators watch as SpongeBob, Snoopy, Hello Kitty and other giant helium-filled characters float along the 2.5-mile route. On the night before the event, the area where the balloons are inflated—near the American Museum of Natural History—is open to the public. The Christmas tree lighting at Rockefeller Center, which takes place the first Wednesday after Thanksgiving, heralds the holiday season in New York City. 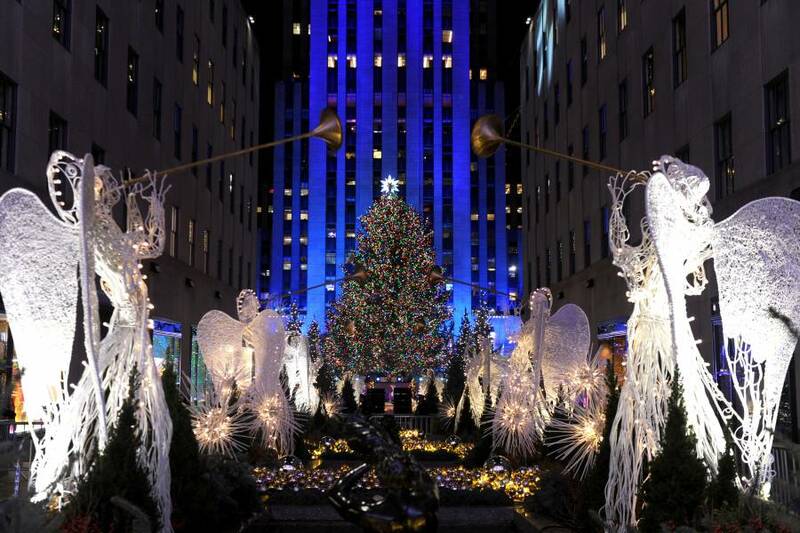 Brave the crowds and the cold to see the giant tree adorned with tens of thousands of multicolored lights. 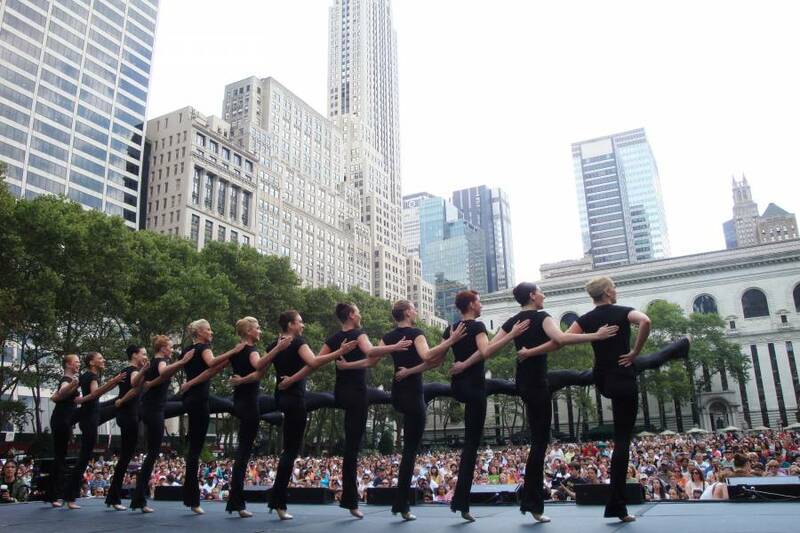 The ceremony, which dates back to the 1930s and has been televised live since 1966, includes live entertainment for the entire family—past performers have included the Rockettes, Mary J. Blige and Tony Bennett. The tree remains lit through the first week of the new year. Celebrate Hanukkah with the lighting of the world’s largest menorahs. 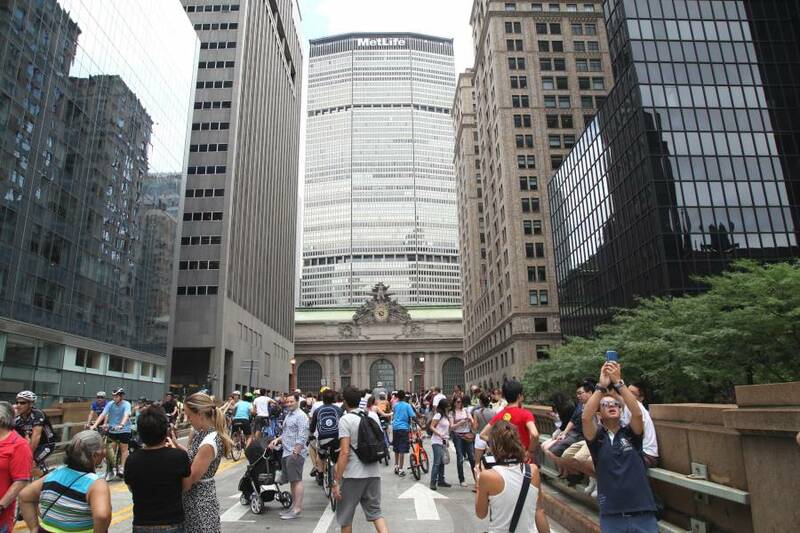 One is in Manhattan, at Fifth Avenue and 59th Street (right in front of the Plaza Hotel). 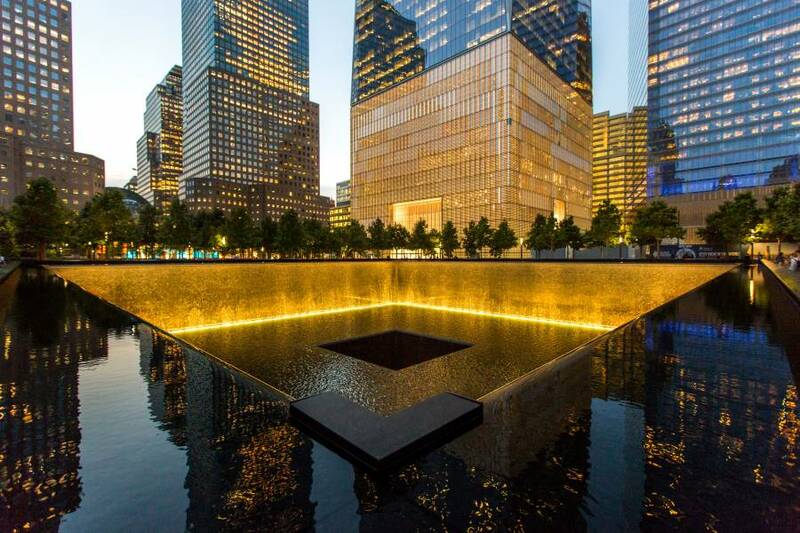 This 32-foot-high, gold-colored, 4,000-pound steel holiday icon is a sight to behold. A similar menorah sits across the river, in Brooklyn’s Grand Army Plaza (at the head of Prospect Park). A candle will be lit on each menorah every evening of the holiday; the ritual in Brooklyn includes music and potato pancakes. This celebration of African American heritage takes place December 26 to January 1 each year, and culminates in a feast and gift-giving ritual. 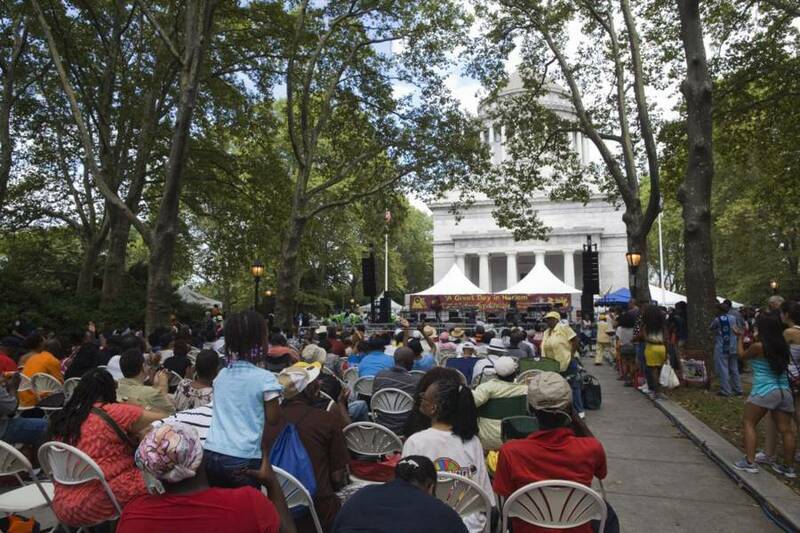 The City’s largest Kwanzaa celebrations take place at the American Museum of Natural History, which hosts a one-day fete featuring African dance, live musical performances and traditional crafts, and Harlem’s Apollo Theater, where you’ll find dance, music and various family-friendly activities.